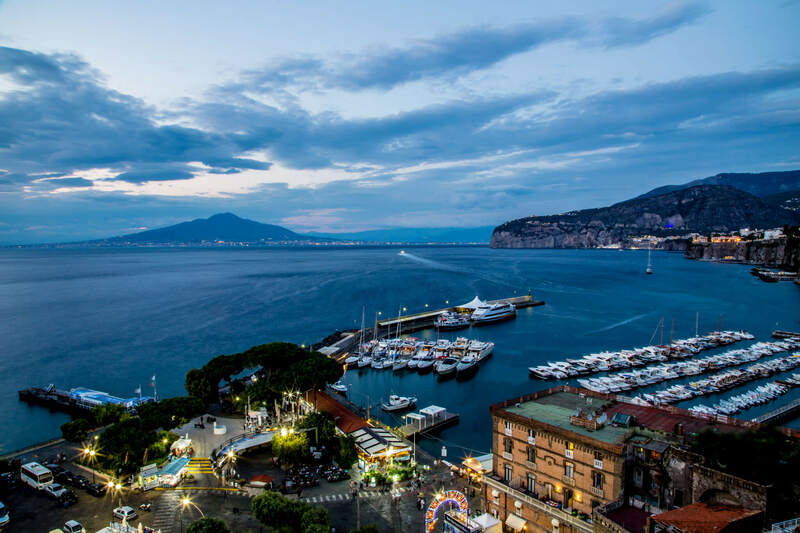 Sorrento is on a tuff rock over the sea and dominates the horizon. On the top of the rock, the green shadows of vegetation mix with the colours of the town of Sorrento. 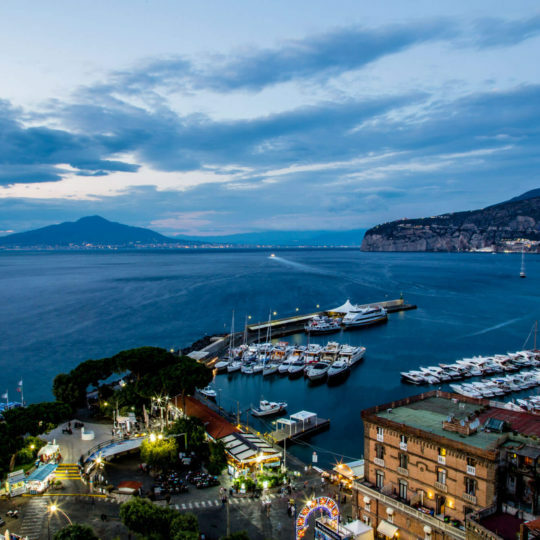 For ancient people, Sorrento and Sorrento Coast were the land of mythical creatures, called mermaids. 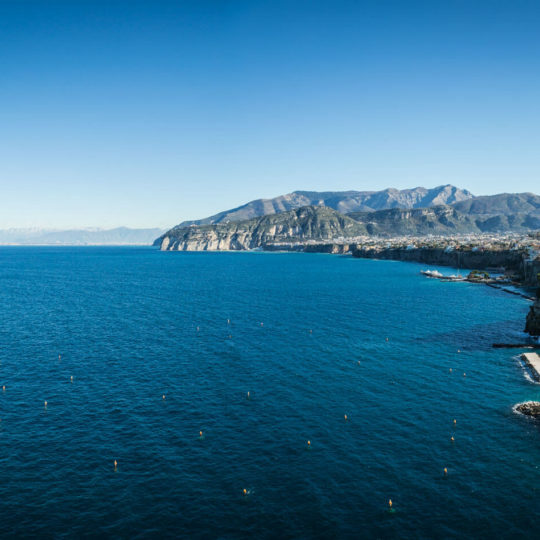 Maybe the name of the town, Sorrento, comes from the word “sirenide”. The indented coast is made of hidden creeks rocks beaches and this landscape frightened mariners in the past. Today these variegated coast is the resource of Sorrento because tourists love it. 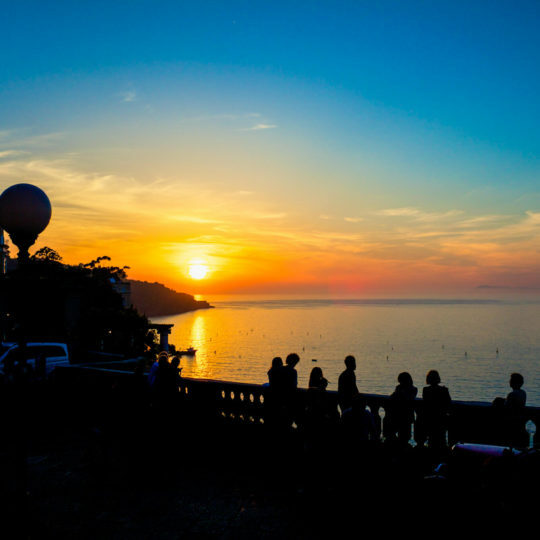 From Sorrento you can admire the isle of Capri, Ischia and the whole Gulf of Naples. The ancient part of the town still keeps its most ancient features and the Roman sign; there are still the walls built in 1500. 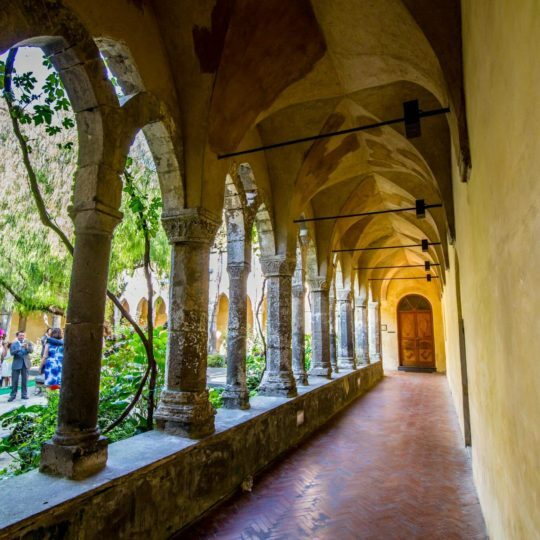 Among the most interesting treasures of Sorrento, there is Piazza Tasso, the cathedral (of XV century), the church dedicated to Saint Francis of Assisi (with a beautiful XIV century cloister with Arabian features); Correale Museum, with its Greek and Roman objects, porcelains from Capodimonte, paintings. The small and picturesque village of anglers in Marina Grande surely deserves a visit. 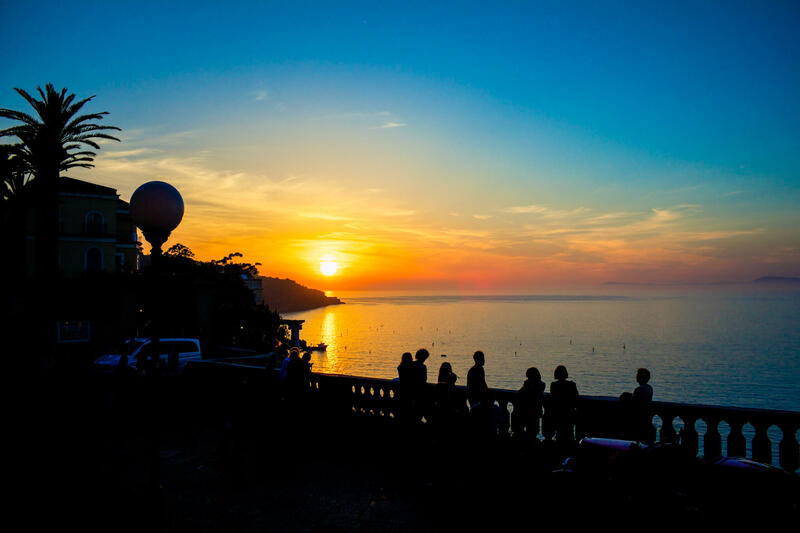 Sorrento is famous all over the world thanks to the popular song Torna a Surriento and Italian and foreign tourists do love it. 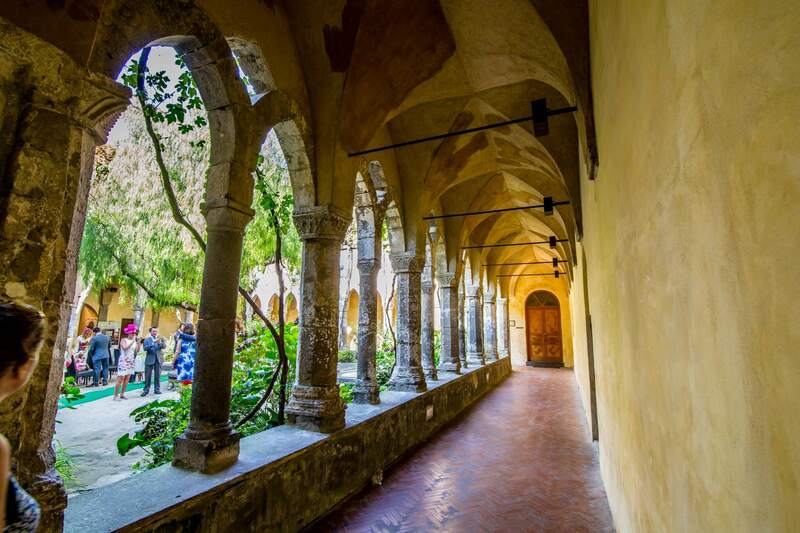 Gastronomy is a great resource, thanks to the presence of typical restaurants and pizzerias, to typical products, such as limoncello, cheeses, pasta, and much more. Salami are delicious and are seasoned with orange peel. If you like wines, you should visit the local producers, where you will taste quality and tasty wines.